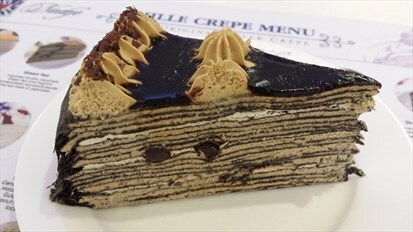 Cafe Mocha -Awesome crepe of slight bitter taste of good coffee with rich chocolate cream and delectable chocolate chips. 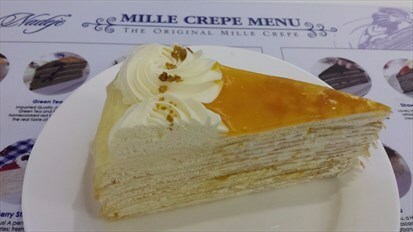 Delicious cake with soft texture. recent visit to Juus for the detox program. They have 6 different kinds of juice for detox purposes. JUUS are freshly COLD-PRESSED JUICES extracted from fresh vegetables and fruits without any artificial flavouring, colouring and preservation being added. Juicing is the easiest and fastest way to increase your nutrient intake since nothing needs to be broken down by your digestive system.The hidden benefits behind juicing is that 95% of all the nutrients contained within fruits and vegetables is contained within the juice.Our bodies can absorb healthy nutrients nearly 5 times greater and 3 times faster when drinking extracted juices than eating whole fruits and vegetables. the mee rebus is another highlight for this restaurant. tea garden have so much to offer. they have many local food to try on and the mee rebus gravy is thick enough and not too sweet. not spicy though and just nice adding on with some green chili. served with taufu and egg with pieces of keropok. crispy and crunchy too.